The first 12 units of the Sky Quality Meter (SQM-L) have been calibrated by Roque Ruiz Carmona and have started being sent to the associations that will collaborate in the NIXNOX Project, an initiative of the Sociedad Española de Astronomía (SEA). Ya han sido calibradas las primeras 12 unidades del Sky Quality Meter (SQM-L) por Roque Ruiz Carmona y han comenzado a ser enviados a las asociaciones que colaborarán en el proyecto NIXNOX, una iniciativa de la Sociedad Española de Astronomía (SEA). 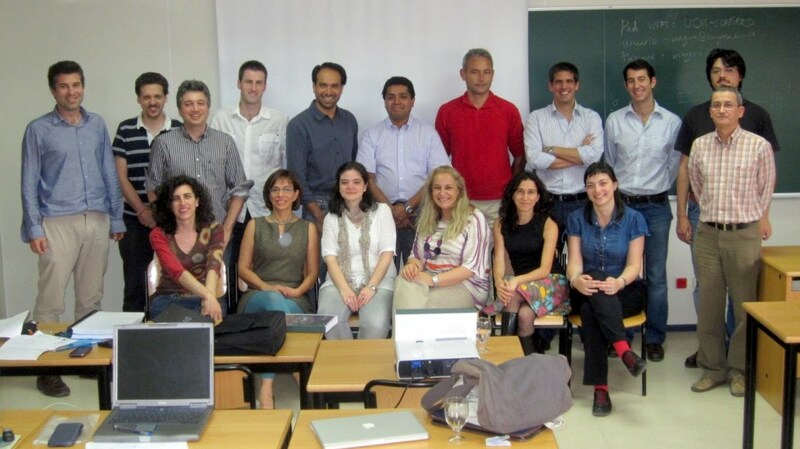 The first general meeting of the group GUAIX (UCM group of Extragalactic Astrophysics and Astronomical Instrumentation) has been held from the 14th to the 15th of June and it took place at the Real Colegio Universitario María Cristina in San Lorenzo de El Escorial. The first meeting of the project MEGARA is being held which is basically an informative and technical discussion of the preliminary design.